"Congratulations! 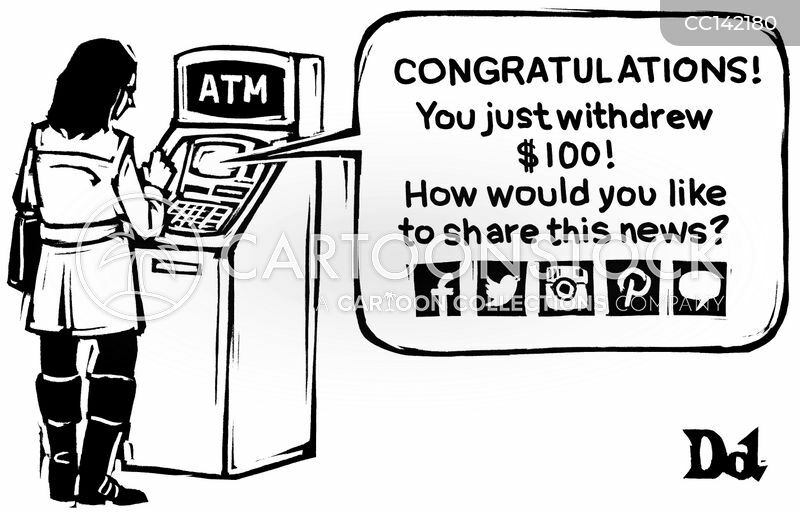 You just withdrew $100! 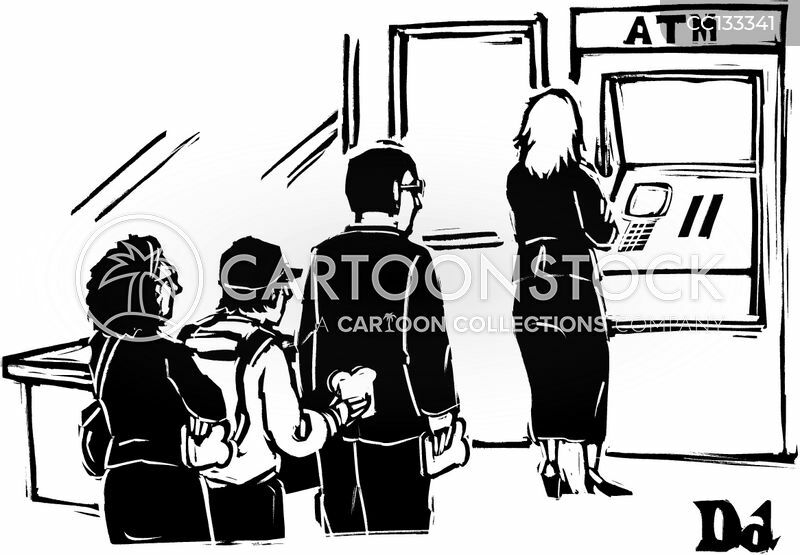 How would you like to share this news?" 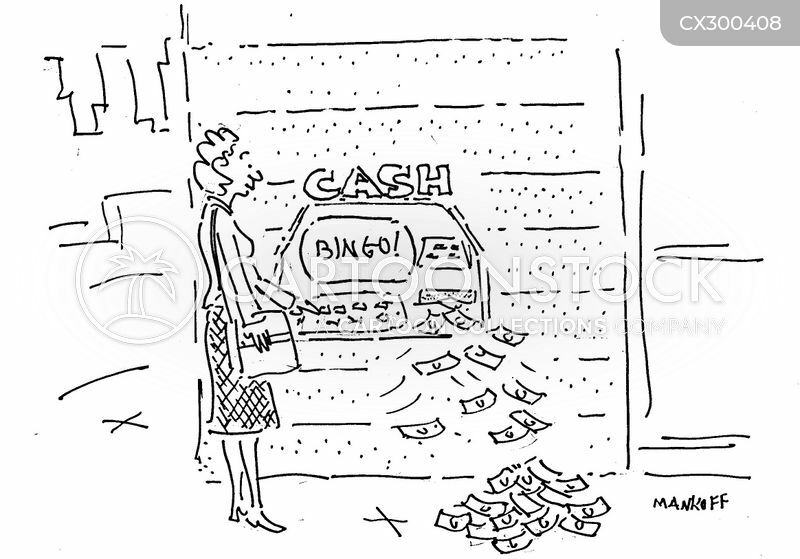 A woman standing next to an ATM that says "BINGO!" 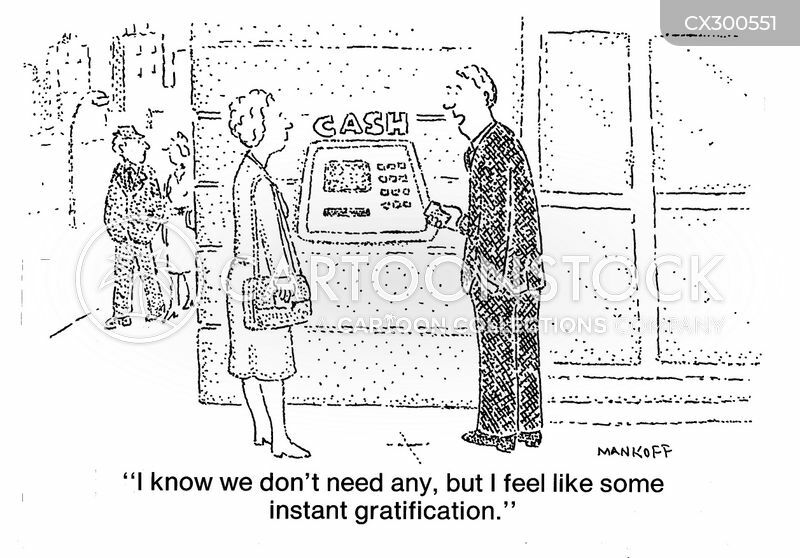 and is spitting out cash like a slot machine. 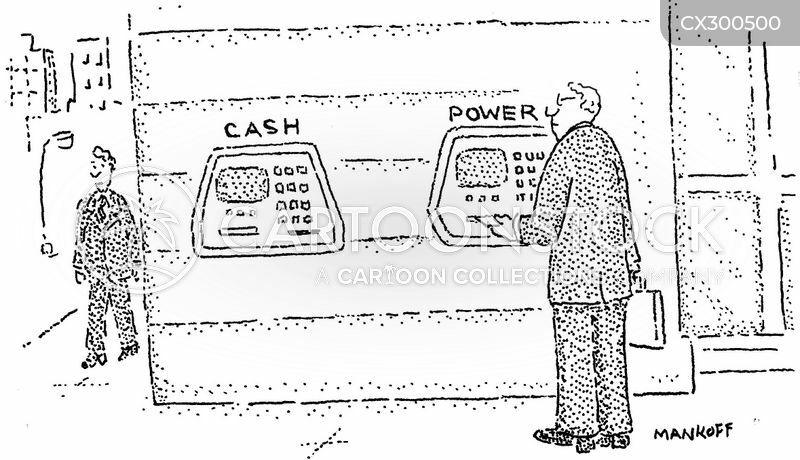 Two ATMs sit side by side; one is labeled "Cash" while the other is labeled "Power". 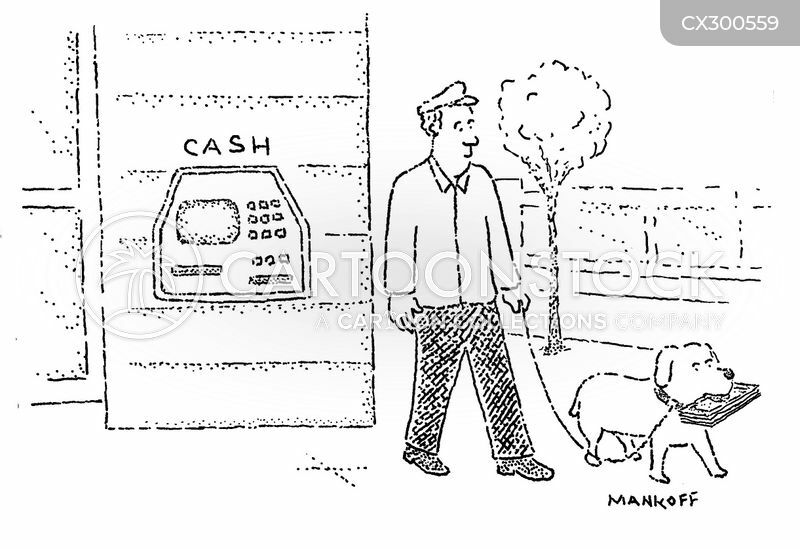 A man and his dog walk away from an ATM; the dog is carrying a wad of cash in his mouth.